Do you want crystals for yourself personally or professionally but don't know where to start? 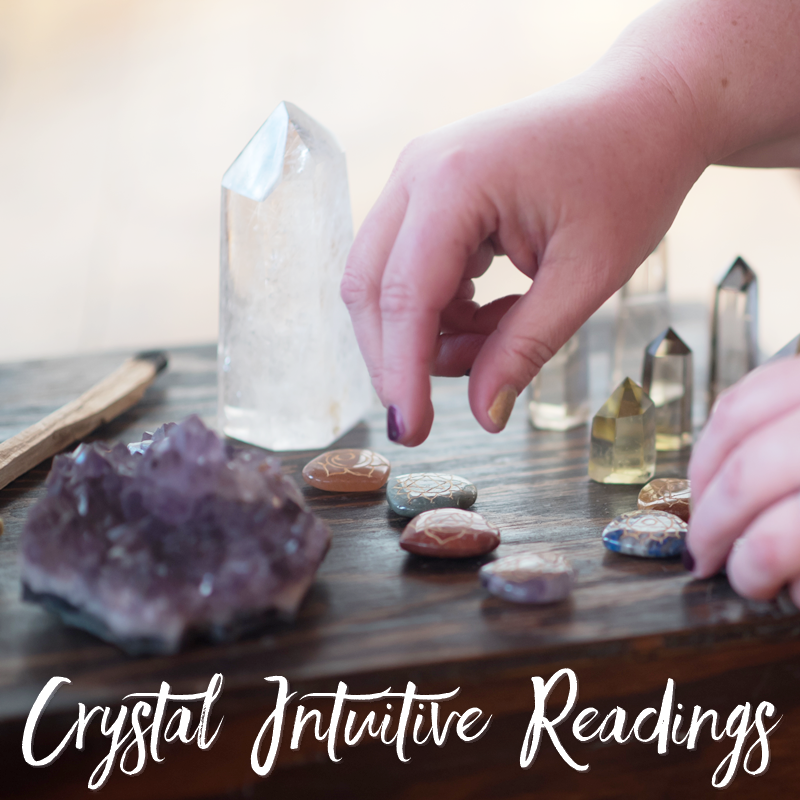 Crystal Readings offer guidance from the mineral kingdom for your current life. A Personalized Energetic Mist is created with your intent for wellbeing. In 1996, I began on a journey. I never planned the journey, and I literally went into it kicking and screaming as a die hard skeptic. Here I am 20+ years later profoundly grateful for the path I reluctantly stepped on, but know deep within that I was meant to walk. My background includes studying numerous energy healing modalities, psychic and intuitive development, spiritual development, and holistic healing for professional and personal development. For over 15 of these years I have taught many classes ranging from Reiki, crystals, flower essences, energy healing, grounding, energetic boundaries, and more. I never stop learning and I never stop teaching. I am passionate about what I do, and yet, it is so ingrained in who I am. My life is fairly normal; I am not an "out dancing under the stars with sage and drums chanting to call in the aliens" kind of girl. My spirituality has roots and foundations in everyday practicality and yet is still connected to something profoundly deep within myself AND the Universe. With my skills and first-hand experience, it's my joy to offer very select ways that we can work together. Let's explore.